This was a difficult result to take, it means that Southampton moved from possible relegation, to probable relegation. The sacking of Mauricio Pellegrino and rapid appointment of Mark Hughes gave us the illusion that things might actually change. Instead, we had the same scoreline with Hughes' first League game, as Pellegrino's last. 3-0, with no sign of any passion, or skill. It wasn't quite that simple though. Hughes tried to be more attacking and played both the returning Charlie Austin and Manolo Gabbiadini in attack, with Tadić and Redmond out wide. That left Højbjerg and Lemina in midfield, with the usual suspects in their now customary positions in defence. The trouble with this was West Ham. They were coming off an appalling run and the last home game had led to all sorts of unpleasantness, which led to increased security for this game, which as taxpayers, we were all paying for, such is the insane nature of the post-olympic London Stadium agreement. The short version of the story was that the West Ham players were really up for the game and Saints set-up gave them the open spaces to exploit. The first goal came from the Portuguese, Mário on 13 minutes. Saints were caught on the counter and it was like watching the parting of the Red Sea, as Hughes team failed to put in any meaningful challenges, leaving Mário to thunder the ball home, giving McCarthy no chance. 1-0 and to be brutally honest Saints looked a beaten team, even at this early stage of the game. The second goal came along shortly after, when the impressive Arnautovic met a cross from the right by Mário, the scorer of the first goal just four minutes before. 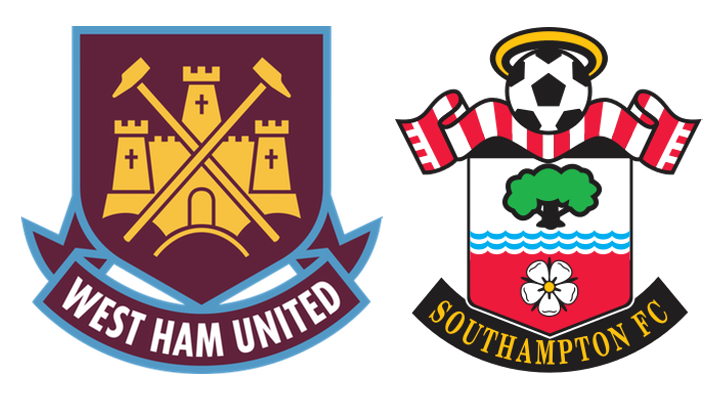 West Ham were rampant, Saints abysmally ineffective. The third came deep in stoppage time at the end of the first half when Arnautovic scored his second of the match, volleying home a left wing cross. That was the symbolic final nail in the coffin for Saints and you just hoped that it wouldn't get worse in the second half. That low-key expectation was at least met, it didn't get any worse, but it sure as hell didn't get any better. This was a shameful display from Saints, who were unable to muster a single shot on target and Joe Hart in the West Ham goal could not have had many easier afternoons than this. Not only was their shooting appalling, but they seemed almost incapable of completing passes to their teammates, continually ceding possession. It was pathetic to watch. The team have now won just once in their last 18 Premier League games and as we are only too aware, five of the remaining seven games are against teams in the top half of the table. Never mind a win, I am not even sure where the next point is coming from. This is so, so frustrating, as it is all so unnecessary. The club has had plenty of time to go down a different path, but for a long time they seemed somehow paralysed into what was approaching catastrophic inactivity, in the face of one of the worst managers that the club has ever had in my lifetime (and there is some pretty strong competition for that particular accolade). If the club does fall from the Premier League, into The Championship, then it will have been a spectacular fall, from which any sort of recovery will take a long time. I feel sorry for Mark Hughes, he has an almost impossible task. Hoedt having a quiet tear, or two?